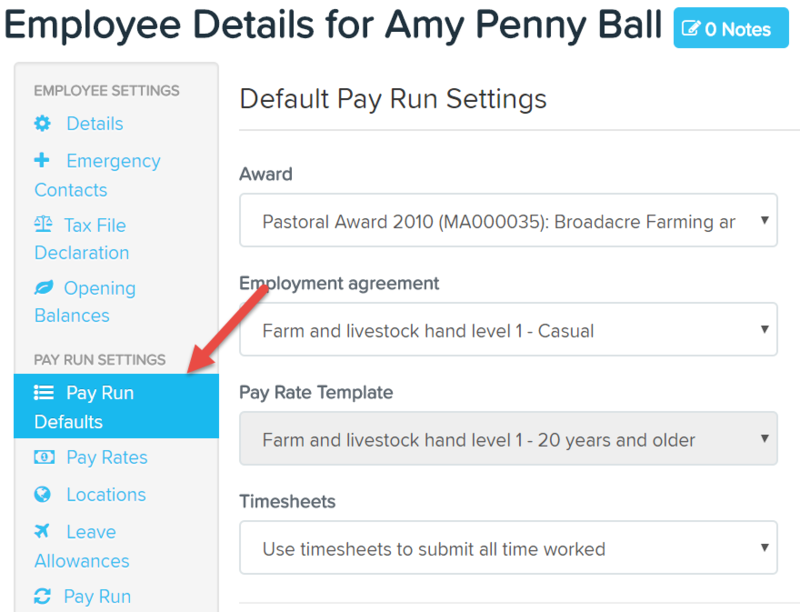 In order to update an employees pay run settings, click on Pay Run Defaults under the Pay Run Settings heading from within the employee's file. The page may be divided into two sections. The upper section is the 'automation features' section. 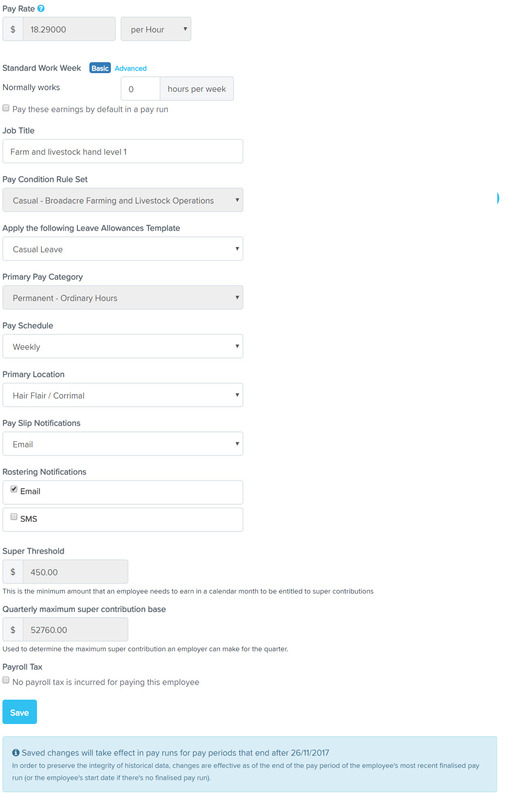 In this section, the award/employment agreement for the employee may be configured along with the pay rate template and timesheets settings. 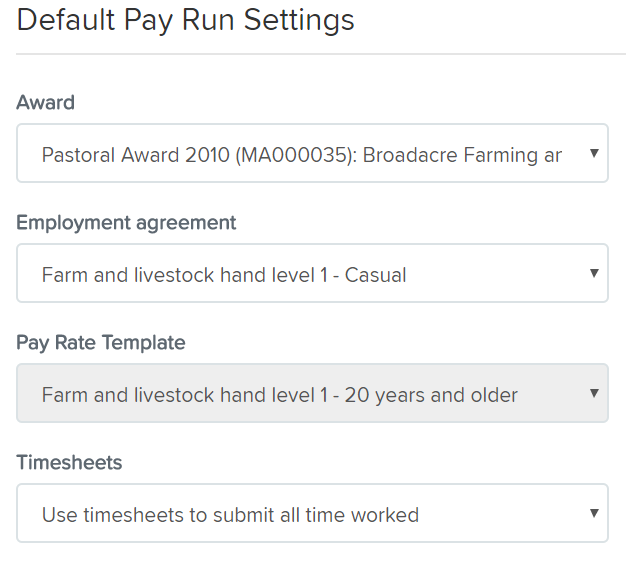 Please note that selecting an Employment Agreement will automatically enable timesheets because timesheets are required in order for the award interpretation to function.